Well, I mentioned yesterday that I had a recipe for a light and refreshing dessert that would go very nicely after the main dish I'll be making on live, local television tomorrow. I'll be making a variation of the Honey Lime Chicken Enchiladas I posted a while ago. 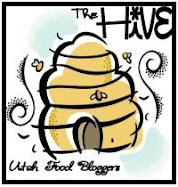 We will also be talking about food blogs and foodies here in Utah, and I'll be joined by fellow Utah food bloggers, Lindsey and Becky. I have to admit that I am both thrilled to be doing this, and slightly petrified. The hostesses of Good Things Utah on ABC4 are absolutely delightful ladies to watch on TV and they are so fun and refreshing, but as far as I'm concerned, they must have nerves of steel because I find that I am quaking just a bit at the idea of going on live TV. So, if you live here in Utah, please tune in if you can and then, even if I fall flat on my face, do me a favor and tell me how good I did. You can lie if you must! I will be recording the program so that I can torture myself (and be delighted at the same time) and watch it when I get home. Seriously though, I think it is going to be a blast and I am super excited to meet Lindsey and Becky in person. If you want to make a full menu of the enchiladas I'll be making as a main dish on tomorrow's show, followed by this Key Lime Sorbet for dessert, then you really ought to check out this fantastic looking Jicima and Black Bean Salad that Lindsey put together as the perfect compliment to the enchiladas. So, on to the dessert, right? Right. I made this Key Lime Sorbet as a way to continue the lime lovin' goodness after the enchiladas, and as a way to quench the heat from the enchiladas if you go for the spicy version. This ice cream is so simple to put together that it borders on the ridiculous. Seriously, all you do is boil some sugar and water together then add some lime juice and a can of condensed milk. Let that cool, then churn it up and you are good to go. When I made my ice cream, I wasn't sure if I got it right because it was still so slushy even after churning, so it really does need a few hours in the freezer to firm up, but all things considered, it is fairly quick to make with minimal effort. 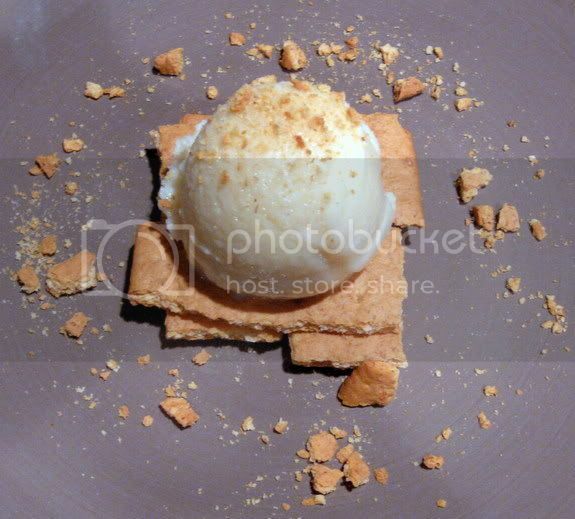 The ice cream is smooth, puckery and completely refreshing. I know I will make this one to cool off many times this summer. If you don't like the pucker factor of a strong lime flavor, then add some more sugar to the mix. I think that looks heavenly, Holly. I'm finally getting nervous. I'm so glad you are doing the cooking segment. :) You're not going to fall flat on your face. I'm sure I will beat you to it. ha! Your key lime sorbet looks light and refreshing. Congrats on the TV slot. You all will do great! I am so excited for you! I won't be able to see it, as I am in AZ, but wish you all the best! I've been on TV a few times and so my words of advice are- don't wear white, and nothing that will show any sweat (from the hot overhead lights)! I hope there is a way for you to post a link to the video, I'd love to see it! You will do great. Just concentrate on who you're with, rather than who will see you, and you will rock the house! Congratulations on such an amazing opportunity!! You will be fabulous! I hope you post a link to the video so the rest of us can see! The sorbet looks very refreshing. The perfect ending to the meal. Good luck tomorrow, you will be AMAZING, I can't say it enough:) Now stop stressing and go eat some of that sorbet. YUM! How cool.. TV!! I wish I could see you on TV. I hope it's possible for you to post a link up! You need to get a link up so we can all watch it! 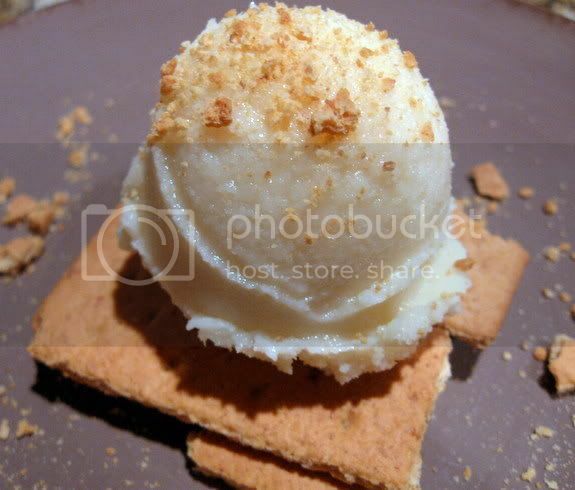 Thank you so much for this key lime sorbet, D will love this when I surprise him with it. You will be so good tommorow sugah, the whole state will fall every bit as in love with you as we are. Good luck tomorrow! I'll be watching. And salivating. I'm obsessed with those enchiladas. I have always struggled with corn tortillas splitting rather than rolling them up, so I resort to using flour tortillas instead. Is there a trick to corn tortillas to prevent them from splitting and cracking? I would like to try them again, without the frustration, thanks!! Thanks so much everyone! It went well and was a lot of fun. 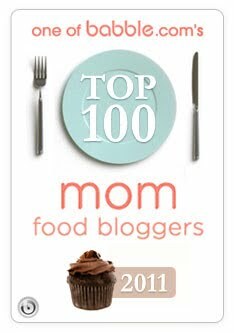 I really couldn't have done it without all of your support! What always works for me is heating the enchiladas in a bit of oil first, basically just enough to make them flexible when you are warming them up. You can do this is a small frying pan with a bit of oil (which does make them a bit more greasy) or do what I do and get a griddle nice and hot, then spray it with a decent amount of non-stick cooking spray then heat them up til they just get nice and warm and flexible (about 20 seconds per side is all it takes). Keep them warm until you are ready to fill and roll them. Honestly, this has worked for me and I used to have the same problem with using corn tortillas as you. Some may still split on you, but for the most part you should be fine. Thanks! Much yum! I am a key lime aholic. So making this!! !